Assemblage from over one third of “downgraded” Crozes-Hermitage : this “moderates” opportunely the “Southern” mouths. The lovable North-South balance ! Southern and northern terroirs blended. Ageing 8 months in new barrels, barrels from one and two vintages. Allier and Tronçais. "Enticing, with lemon gelée, yellow apple and verbena notes framed by a light hint of brioche. Sports a fresh, floral feel through the finish. 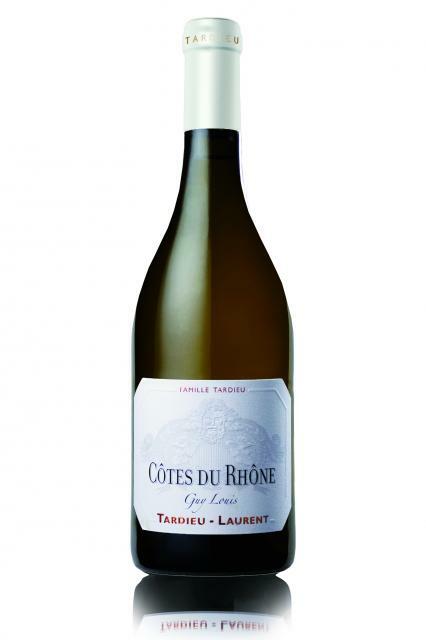 Grenache Blanc, Clairette, Marsanne and Viognier." "Interesting that this is made up of one-third fruit from the northern Rhône. Much edgier (and more like St-Péray) than the Les Becs Fins white. Pure and fresh and limpid somehow. Lots of lime fruit and freshness. Serious white – not quite as tense as Chapoutier’s Les Granits white St-Joseph but goes a little way towards it. Smokiness and some chew. Definite sweetness but there is sufficient acidity too"
"Based on roussanne with 25 percent clairette and smaller portions of grenache blanc, marsanne and viognier, this is a big, rich white. The tropical fruit tones and sweet oak calm down with air, the fruit turning toward golden apple and the wood turning to spice. Give this another five or six years in the cellar, then open it for pork shoulder roasted with fruit."